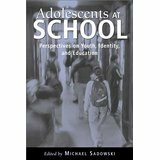 Adolescents at School gives educators, administrators, community leaders, counselors, social workers, health-care professionals, and parents a glimpse into the complex "identities" adolescents negotiate as they manage the challenges of school. 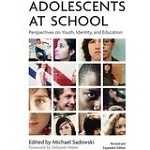 The book contains the perspectives of teachers, researchers, and administrators and adolescents themselves who explore what it means to be a middle or high school student in the United States today. Practical and jargon-free, the book suggests ways to foster the success of every student in our schools and classrooms.